If you wish to visit Morocco, take advantage of the Sète -Tangier route and numerous offers proposed by SNAV and Grandi Navi Veloci. Our ferries stand out for their comfort, safety and large selection of services that will turn your trip into a unique and pleasant experience. On our Sète –Tangier ferries, you can choose the type of accommodation or simply opt for an armchair. We offer various types of cabins and suites. Our on-board accommodations are spacious and roomy, equipped with many comforts for relaxing in total tranquillity. You can travel with the entire family: we offer cabins with various beds or family suites. Specific cabins are also available to host customers that travel with cats, dogs and small pets. You can taste the fine cuisine of our restaurant on-board, or enjoy various entertainment proposals. We make efforts every day to please all travellers. On our ferries, the trip will feel as a real mini-cruise! 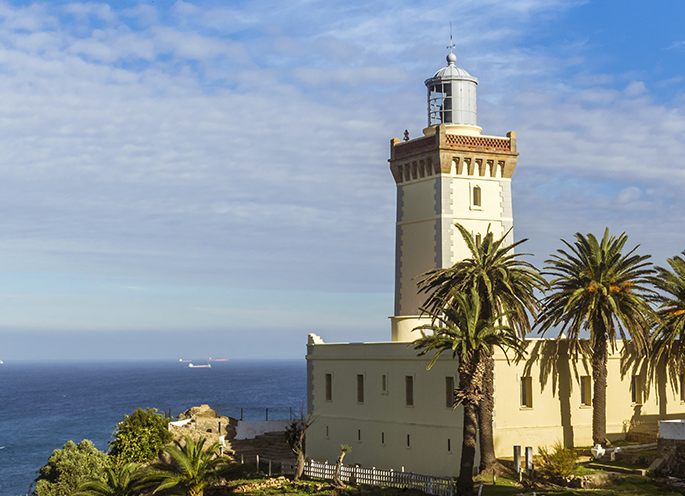 Just book your ticket to visit the beautiful city of Tangier! Using our booking system, you can customise your trip, indicating the number of passengers, type of accommodation and additional services: catering or embarking of car, motorcycle or other vehicle. Tangier is waiting for you! Book now your ticket and depart with Grandi Navi Veloci and SNAV: travelling with us is always a pleasure.